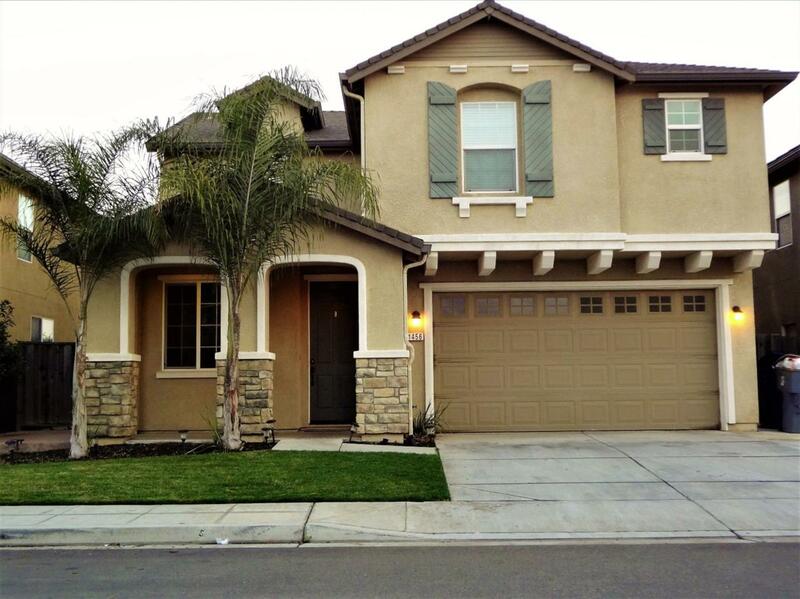 This beautiful 2- Story Home features4-Bedrooms and 2 1/2 Baths. Kitchen features laminate flooring,stainless steel appliances,custom cabinets, recessed lighting,prep Island,Corian counter tops.Gas stove,over head Microwave, crown moldings. Kitchen flows into nice dinning room. Big spacious living room. Laundry room on first floor.Four bedrooms and two full bathrooms on the second floor.Fans in all three bedrooms. Master bed has walk in closet, shower/tub, dual sinks. Back yard has stamped cement with newer fence, block planters. Front of Home, has small porch with rock pillars. Sprinklers front/back. Front manicured yard with palm trees and lighting. Move in ready Home.